In recent years, a lot of US based companies have been expanding their operations into Canada, a landscape well known for its high standard of education and hard working populace. It's a no-brainer for some, because despite some of the difficulties involved in establishing a business there, the rewards far outweigh the efforts required. What many US businesses don't consider, however, is all the differences between Canadian and US law, subtle or not. While many laws seem incredibly familiar, others are quite different and like the states, they can vary province to province or territory to territory. It's important to learn the differences and ensure you remain compliant in order to avoid fines and penalties that are otherwise avoidable and that goes extra for paying workers in Canada. The Canadian Revenue Agency (CRA) is the federal authority when it comes to tax laws in Canada, and that extends into how you pay your workers. As a foreign employer, it's critical to do the required research to ensure you understand these laws and how you're meant to process payroll and taxes. Paying workers in Canada as an American business can be rather challenging in this regard, because you often have to abide by Canadian law and also American law and that's why so many businesses have begun turning to employers of record (EORs) for assistance, especially in terms of legal compliance. Without an EOR to help you out, paying workers in Canada is a delicate task and you need to ensure that their payroll reflects all the taxes they need to pay, as well as any deductions to retirement or pension plans, unemployment insurance and more are done to satisfaction with the law. Worker classification is a big issue and is actually intrinsically linked to paying workers in Canada as well. Workers classified as independent contractors have different employment, legal and payroll standards than traditional employees do and that reflects when it comes time to deal with payroll, largely in the tax department. It can be especially tempting for some companies paying workers in Canada to classify their workers incorrectly, whether intentionally or not. While there are less taxes associated with independent contractors, if you're dealing with employees, they need to be classified appropriately in compliance with the Canadian Revenue Agency and their laws. While in the short-term, it appears to be a quick way to save some money, it can actually end up costing you a great deal more in terms of penalties, levies and fines so it's best to ensure you've done it right the first time to avoid any of that unpleasantness. It's clear to see why so many can get frustrated with the amount of difficulty that can be involved with what seems to be such a cut and dry operation. It leaves a great deal of businesses wondering how to legally, efficiently and easily manage their Canadian workers in a way that doesn't break their budget or take up valuable time and resources in heavy research. EORs actually owe a lot of their popularity to US companies looking for easy methods when it comes to paying workers in Canada and it's no wonder. When they act as the legal employer of your workers, it's their job to sort of all this out – the classification, the legal compliance, all tax filings and insurance – and best of all, they're already established within Canada which means you can actually skirt the hardest part, which is business registration. They would pay those employees on your behalf, manage them, hire and fire them – everything. That way, you can maintain full control without worrying about breaking the law, or hurting your employees. Paying Canadian employees can be one of the most difficult tasks faced by Canadian companies and US companies expanding into Canada. The requirements for paying Canadian employees can range from tedious to onerous. There are multiple levels of bureaucracy to deal with, and penalties for any mistakes made along the way. For these, and many other, reasons, paying Canadian employees is often one of the major obstacles to running a successful business in Canada. Before you start paying Canadian employees, here are a few things you need to know. Paying Canadian employees requires you to deal with multiple government agencies, and you have to overcome numerous administrative hurdles. Setting up a physical presence in the territory in which you intend to hire employees is just the beginning. After that, you need to set up the required government accounts, establish banking and insurance infrastructure, and conform to all relevant employment, payroll, and health and safety regulations. You’ll need to learn the existing laws, and keep up with any changes to those laws. 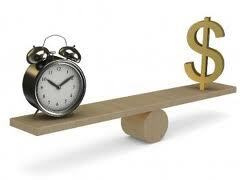 You’ll probably need to purchase and learn new software for timekeeping and payroll purposes. If you go it alone, you’ll likely make some mistakes along the way. Those mistakes, if caught early, will only cost you the expense of doing things a second time. If caught late, they could result in fines and penalties. Getting everything set up in accordance with the law will take time. You can’t start paying Canadian employees until you’ve jumped through every administrative hoop in your path. That means that you won’t be making any money from your Canadian business for weeks, or even months. Any time spent fixing your mistakes is more money lost. The more time you have to spend setting up your Canadian business or expansion, the longer it will be until you can hire employees and start turning a profit. If you’re working on tight margins, the time spent getting your business up and running could derail your plans for a Canadian business. Fortunately, you’re never alone when it comes to paying Canadian employees. There are payroll service providers that offer all of the services, advice, and guidance you need to get your business up and running quickly and efficiently. They can handle payroll and HR management, set up the required accounts, and even help you with compliance. Using their Employer of Record services, you can even streamline the process of setting up an administrative presence in Canada. With their experience and training, payroll service providers are able to avoid the mistakes that end up costing you time and money. They have the software and knowledge to get your business started quickly, so you can start turning a profit sooner. Going it alone only saves you money if everything goes perfectly, and you already have the resources in place to deal with all of the bureaucratic hurdles. If you don’t, it’s probably time to talk someone who has those resources in place, and who has helped other businesses become operational in Canada. US and Canadian businesses have adopted a variety of different methods for paying Canadian employees. Some of these methods are simple, but not entirely legal. Other methods adhere completely to the letter and spirit of the law, yet are prohibitively complicated. When it comes to paying Canadian employees, you don’t have to choose between simplicity and legality. There is a method of paying Canadian employees that strikes the perfect balance. A payroll service provider, like The Payroll Edge, provides a simple, completely legal method of paying Canadian employees. They handle every aspect of your payroll needs, from calculating overtime and vacation pay to remitting government withholdings. Their services guarantee you accurate, on-time payroll processing for all of your Canadian employees. However, that’s just the beginning of the benefits you will enjoy when you engage the services of a payroll provider. 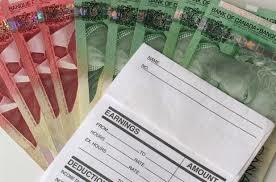 Any payroll provider can do the math and deliver the pay cheques. Only a true partner like The Payroll Edge can offer you a full suite of services to go along with payroll processing. Most payroll service providers simply take the numbers you give them, deduct the proper amounts, and then cut a pay cheque. If you accidentally give them incorrect numbers, they’ll produce incorrect cheques. At The Payroll Edge, Certified Payroll Professionals check the payroll data for errors and inconsistencies before the cheques are printed, saving you the time and expense of rectifying payroll errors. They’re able to provide this level of service because they take the time to truly understand your business and payroll needs. They don’t rely solely on numbers, they also develop an intimate knowledge of your company, so they can spot errors before they become costly mistakes. This kind of partnership sets The Payroll Edge apart from other payroll service providers. That deep understanding of your business needs makes The Payroll Edge a valuable partner in many other areas as well. They can assist with human resources management, legal compliance, and annual reporting. As a full service partner, they can take much of the administrative burden off of your existing staff, allowing them to focus on your core competencies. Paying Canadian employees doesn’t have to be overly complex, or questionably legal. You want to do things the right way, without having to jump through a lot of administrative hoops. A payroll service provider makes paying Canadian employees easy and legal. To save yourself a lot of time and aggravation, contact The Payroll Edge today. In Canada the health care system is government run with the funding coming from employer taxation. All Canadian citizens can register for a health card and are eligible to have their basic medical needs covered under this program. Each province has its own system but in its simplest form it means that Canadians do not pay out of pocket for doctor’s visits, emergency care, surgery, most diagnostic testing and short term medical leave. Many Canadian companies offer employees a benefit program that offers coverage for those medical needs that are not part of this government system such as prescriptions and dental care. 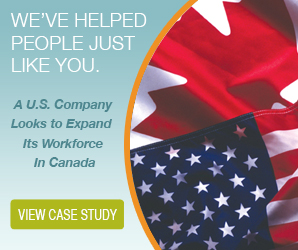 When a U.S. company looks to match their U.S. employee benefits with those being offered to a Canadian employee, this is an important differentiator that needs be considered. Many U.S. companies offer employees a 401k plan and can also offer something similar in Canada called an RSP (Retirement Savings Plan). Some differences to note in regards to the two are that the Canadian RSP can be set up through any financial institution and the employee can choose to contribute after tax dollars into their own plan. A 401k has a set annual limit that is the same for every employee regardless of income where in Canada the annual limit is 18% of salary to a maximum of $20,000. In Canada these unused limits can be carried forward indefinitely where in the U.S. contribution amounts have to be used each year or they are lost. 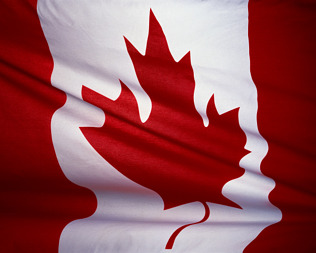 Canadian holidays are not the same as those in the United States and in fact vary slightly from province to province. 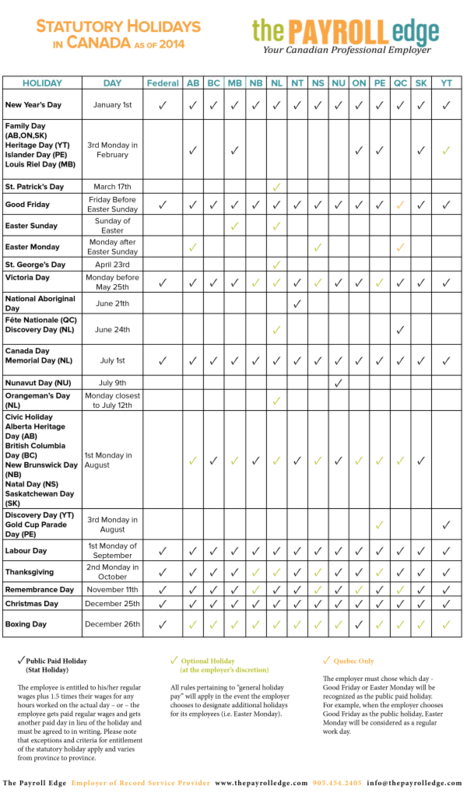 The statutory holidays that are the same across every province include; New Year’s Day on January 1st, Good Friday on the Friday before Easter Sunday, Canada Day on July 1st, Labour Day on the first Monday of September and Christmas Day on December 25th. 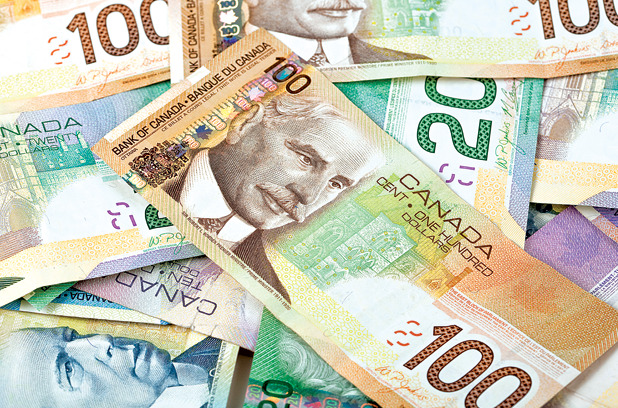 Every province has different rules in regards to statutory holiday pay eligibility. For example, in Ontario an employee is eligible to be paid for a stat holiday right from day one, in Alberta the employee must have been employed for the last 30 days before the holiday with actual working days totalling more than 15 in order to start receiving this pay. Stat holiday pay calculation is based on previous hours worked within a certain timeframe. 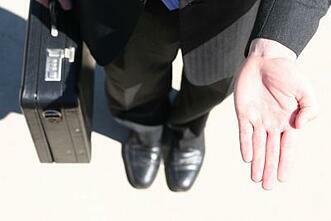 Looking to hire a Canadian but Unsure of Canadian Employment Law? The Payroll Edge’s EOR service is similar to a PEO service in the United States and works to take the strain off U.S. or foreign based employers hiring and paying Canadian employees but who are unfamiliar with employment laws in Canada. An Employer of Record (EOR) service like The Payroll Edge can take care of benefits packages’, payroll calculation (including statutory pay), payroll tax deductions as well as government remittances for your Canadian employees and so much more. For a US-based business, paying Canadian workers is no simple matter. Some companies erroneously believe that all they need is a currency converter to start paying Canadian workers. If that were the case, every US company would be operating on both sides of the border. Unfortunately, despite the cultural similarities, the US and Canada don’t share very much when it comes to employment and payroll laws. The Canadian system is so different from the US system that there is virtually no overlap. For companies wishing to operate on both sides of the border, this presents a unique set of challenges. Paying Canadian workers without meeting those challenges can result in substantial fines and penalties. There are really only two legitimate ways to pay Canadian workers while avoiding those fines and penalties. If you choose to go it alone, you, or someone in your company, needs to learn everything there is to know about Canadian employment and payroll regulations. Federal and provincial laws are incredibly intricate, with a lot of subtleties that are learned only through years of experience. They are also in a state of constant evolution. This year’s rules and regulations can be substantially different from next year’s rules and regulations. Some policy changes can roll out at completely random times during the year, requiring you to keep up with possible changes every day of the year. Once a policy is in effect, you’re responsible for abiding by it, whether you know about it or not. If you fall behind on your studies, or miss an announcement from one of the many agencies you’ll be dealing with, you’ll be on the hook for any penalties. 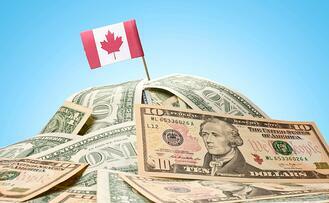 Canadian payroll service providers are experts at paying Canadian workers. In fact, it’s something they do all day, every day. They are constantly learning the new laws and regulations, and how they apply to the many different worker classifications and scenarios. They have the newest software and technology to streamline payroll services for maximum efficiency at minimal expense. If you’re interested in paying Canadian workers legitimately, and without the risk of fines, you should consider hiring a Canadian payroll service provider. Canadian payroll service providers like The Payroll Edge operate as Employers of Record (EORs) within Canada. These fulfill the same functions as Professional Employer Organizations (PEOs) in the US. Instead of becoming, and remaining, and expert on Canadian payroll law, you can simple hire a Canadian payroll service provider to act as an EOR. They’ll handle all of your hiring, management, payroll, and compliance, without you having to spend all of your free time studying foreign payroll legislation.